I’m sure we all have one: a Worst Valentine’s Day Ever. Mine involved teddy bears holding Mylar balloons, and I’m sure it’s partly to blame for the little shiver I get every time I’m sent a heart-sprinkled press release advertising a Valentine’s special. So I was relieved to see that instead of doing something schmaltzy on February 14, Napa’s Ehlers Estate winery is doing something classy on February 4. To honor National Heart Month, winemaker Kevin Morrisey will preside over a tasting party from 6 to 8 p.m. at MO Bar in San Francisco’s Mandarin Oriental hotel. For the $30 price of admission, guests will enjoy appetizers paired with several Ehlers Estate wines, including the winery’s signature “One Twenty Over Eighty” Cab blend. Proceeds from the event will go toward a gift to the San Francisco Chapter of the American Heart Association. This pairing between winery and cause is much more than a well-timed marketing campaign; all year long, 100 percent of the proceeds from the sale of Ehlers Estate wines goes to the Leducq Foundation, a nonprofit dedicated to international cardiovascular research. For more information, visit fondationleducq.org. A couple of weeks ago, Peter and I recruited two friends to help us with the difficult work of tasting three premium Napa Valley Cabernet Sauvignons. Due to a way-too-strong fondness for alliteration in my old budget-wine column, these friends appeared in that space as ‘the Tuscan Tipplers’ — a honeymoon reference. Here we’ll just call them the TTs. 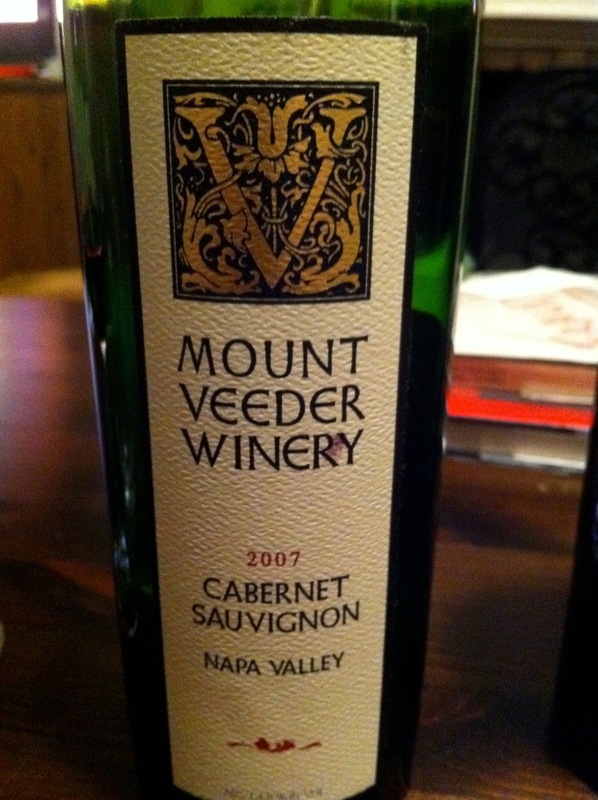 The wines we tasted with the TTs were, in order of price, a 2007 Cab from Mount Veeder Winery ($40), a 2005 Stag’s Leaps District Cab from Clos Du Val ($70), and a 2006 Reserve Cab from Robert Mondavi Winery ($135). 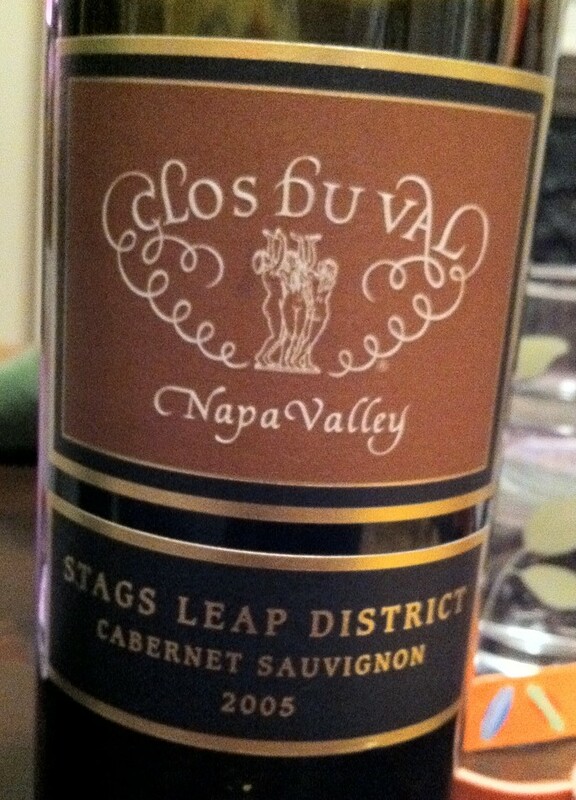 I loved the Clos du Val 2005, especially that pencil-shaving aroma I always associate with great Napa Cabs. Mr. TT found it open and pleasant, with berries on the palate. Mrs. TT really liked it too and found it pungent—”fumey,” she said, but not in a bad way, as well as strong and rich. Finally, Peter praised its super-dark fruit; nice, not-overpowering oak; and good balance. 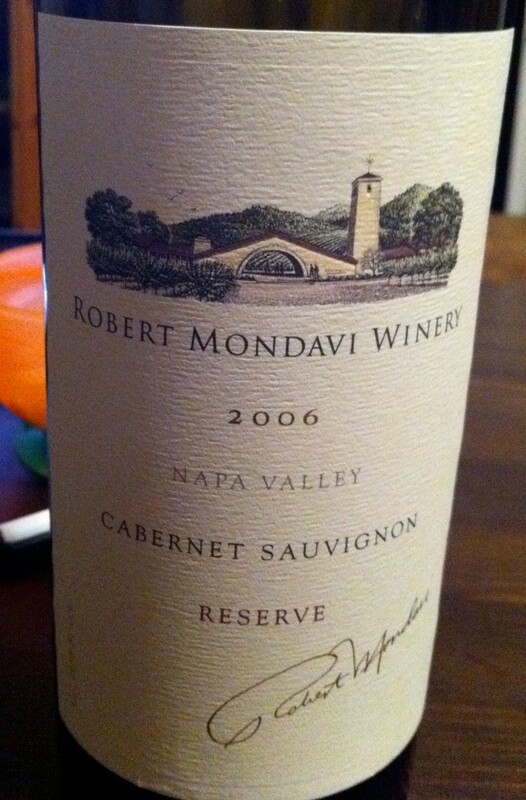 Mondavi redeemed itself to me a few days later, however, when I thoroughly enjoyed a glass of the 2007 Cab from its Oberon label, which I found online for as little as $14.99. Another lesson that with Napa wines, you don’t always get when you pay for — except when you do. My friend Diana is my vacation hero—she’s always hatching a plan to go someplace fabulous and/or exotic. Diana’s next big adventure b rings her to the Hotel Portillo in Portillo, Chile, where she’ll spend a week this summer skiing and sipping local wines. Located in the Chilean Andes about three hours from Santiago, Portillo is adjacent to the vineyard-filled Aconcagua and Maipo valleys. The latter is a wine region that’s found particular success with Bordeaux varietals like Cabernet Sauvignon, Sauvignon Blanc, and Carmenére (which grows so abundantly here that it’s often misidentified as a grape native to Chile). Maipo is also home to the esteemed Santa Rita label. 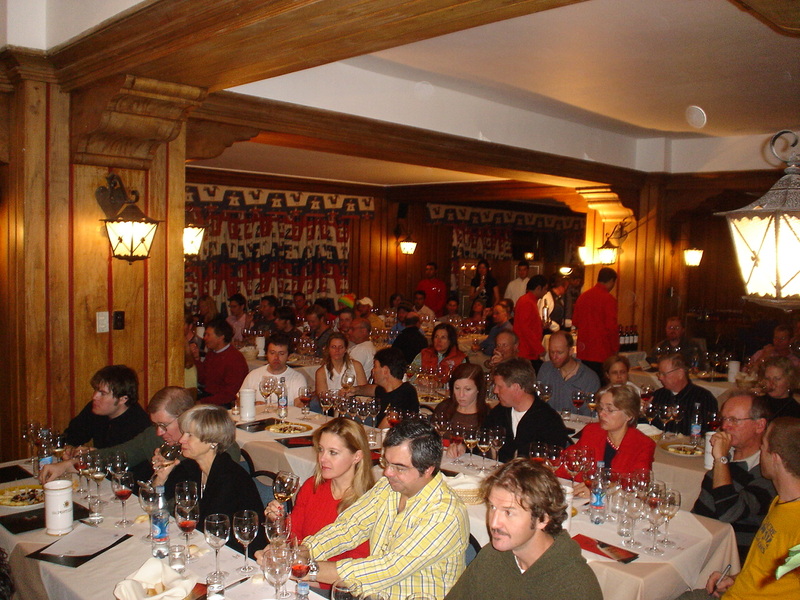 Hotel Portillo is hosting two wine weeks this summer; the first, its ninth annual Top Wines of Chile week, takes place July 31 through August 8 and features both tastings and information sessions with local winemakers. The second week, Wine Fest, takes place August 28 through September 4 and offers more of the same—plus daily opportunities to win a free bottle based on how well you’ve learned that afternoon’s wine-themed lessons. 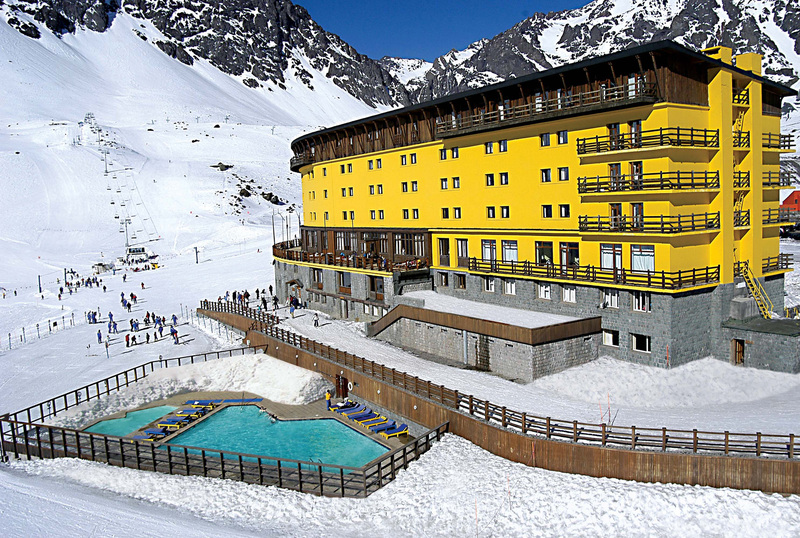 For more information, visit www.skiportillo.com. Recently earning raves in my household was a 2007 Merlot from Napa Valley’s Shafer Vineyards. I found the aroma on this wine oh-so-very Napa, evoking cedar and pencil shavings, while my husband noted blackberries and plums. He commented that the Shafer was bright and ripe with great acid and good balance, and I agreed — although we parted ways on its finish, which I found smooth and delightful. Peter complained that it was just a little too hot (high alcohol) — although at 14.9 percent, the alcohol content is actually pretty modest for a Napa red. At $48 a bottle, the price of Shafer’s Merlot is fairly modest as well, coming from a winery whose Cabernet Sauvignons range in price from $70 to $215. Interesting bit of trivia on that topic: Shafer’s vineyards are overseen by David Ilsley, whose family business, Ilsley Vineyards, happens to be right next door. The Ilsleys’ land abuts Shafer’s reknowned Hillside Vineyard (the two properties aren’t even separated by a fence), whose grapes produce the highly acclaimed $215 Cab known as Hillside Select. Now, the scuttlebutt in the Stags Leap District that is home to both these wineries — at least among devotees to the concept of terroir — is that Shafer Hillside Select and Ilsley Vineyards Cabernet Sauvignon ($55) are nearly identical wines with a $160 price difference. While this theory doesn’t do justice to the obvious talents and varied techniques of Shafer winemaker Elias Fernandez or Ilsley winemaker Craig MacLean, you can’t argue against the Ilsley Cab as a great value. Just like that Shafer Merlot.